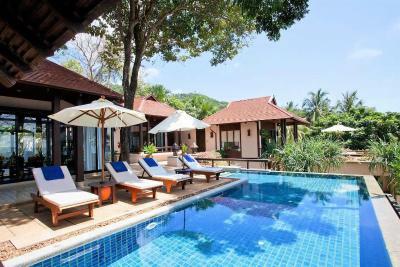 Lock in a great price for Pimalai Resort & Spa – rated 9.5 by recent guests! Everything was great. 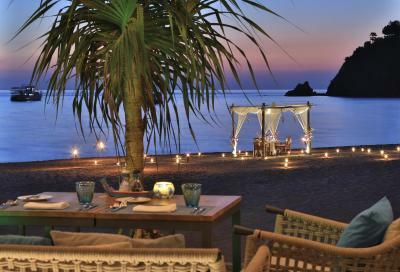 It is a super luxurious resort with all the necessary amenities and facilities. Staff were great. Visited seven seas restaurant with great views but did not particularly love the food. Got bumped to a pavilion suite for my boyfriend's birthday and we loved it. The private beach was amazing and offered a brilliant sunset view. Will definitely visit again! Am very impressed by their service and the round trip transfer to and from the airport. Big, clean and comfortable room, staff are friendly and nice, many difference choices breakfast, everything good. Beautiful grounds, gracious staff, lush plant life. Facilities are top notch! Yes it is expensive for Thailand but considering everything that’s included, especially the round trip transfer from Krabi airport, staying here is actually good value. The beach is gorgeous and pristine as well. Definitely stay here! We’ll be back and choose a villa next time!! Staff were extremely polite and helpful. Rooms were spacious and well-furnished. Spa was incredible and the activities available for guests were abundant. Pimalai was literally a slice of paradise. I have never felt more relaxed, refreshed, and spoiled! The “standard” room was luxurious, the bed and the pillows were so comfortable, even the complimentary bath products were memorable. We especially loved the beautiful infinity pools and the delicious extravagant breakfast! Best spa experience ever as well! Also the staff and the service are exemplary. The staff and quality of service was second to none, i cant recommend this beautiful resort highly enough. We are already planning our return trip. The property was lovely, and the pools were great. Pimalai Resort & Spa This rating is a reflection of how the property compares to the industry standard when it comes to price, facilities and services available. It's based on a self-evaluation by the property. Use this rating to help choose your stay! 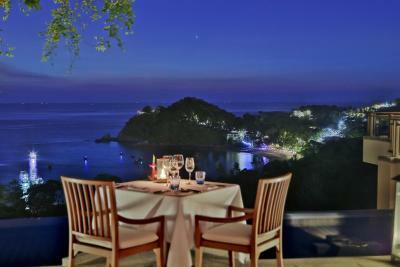 One of our top picks in Ko Lanta – and a guest favorite. 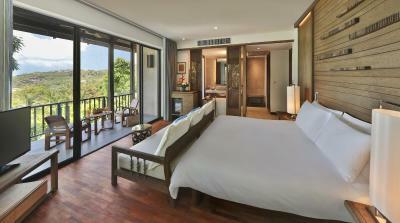 Nestled in a lush tropical forest, rooms at Pimalai offer a private balcony that overlooks the beautiful surroundings. 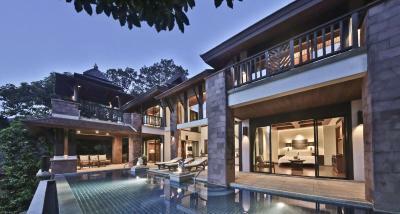 Decorated with rich Thai fabrics and rattan curtains, rooms are air-conditioned and feature a polished teak wood floor. It also features amenities that include high-speed internet access and a DVD player. 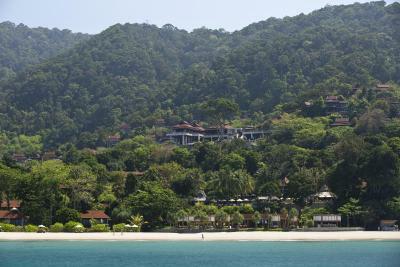 Pimalai Resort and Spa offers several leisure facilities. Guests are able to lounge by the infinity-edge pool while enjoying the sea breeze and a cool drink or play a game of tennis at the courts available. It also has a fully equipped fitness center and library, as well as activities that include cycling and sea sports. 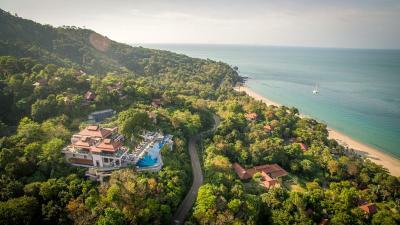 Pimalai Resort and Spa features 3 restaurants to satisfy guests' appetite. 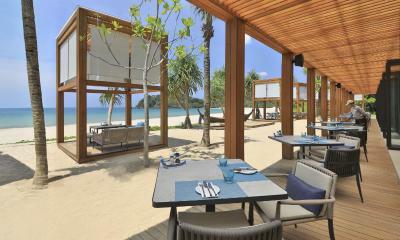 Signature Thai dishes are served at Rak Talay and Spice and Rice, while western cuisines can be sampled at Seven Seas. 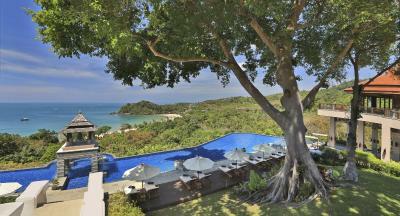 When would you like to stay at Pimalai Resort & Spa? This room features a balcony, a satellite TV with a DVD player and a minibar. The private bathroom has a bathtub, a hairdryer and slippers. Complimentary round-trip transportation is provided from Krabi Airport to the resort. Guests are required to provide travel details at the time of booking. 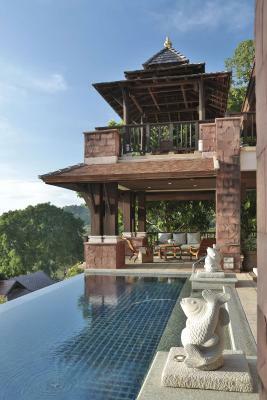 On the hill side, this villa features a private infinity pool and offer views of Kan Tiang Bay and surrounding tropical forest. 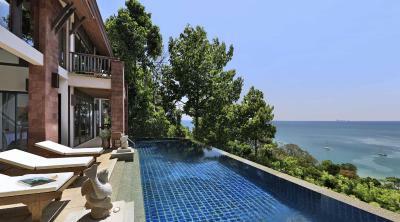 Located near the beach, this villa has air conditioning, a microwave and sitting area. Guests have access to a shared infinity-edge pool. Please note that the pool is not fenced. Complimentary round-trip transportation from Krabi Airport to the resort. Guests are required to provide travel details at the time of booking. This villa features a CD player, DVD player and seating area. 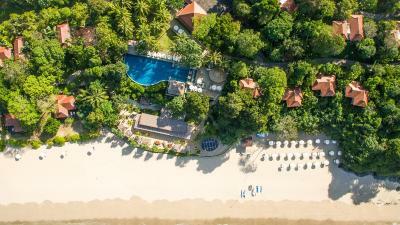 Amidst 100 acres of tropical vegetation, direct access to over 900 meters of pristine sandy beach,this unique resort surrounded by famous snorkeling and diving spots takes you closer to nature than you could ever imagine. 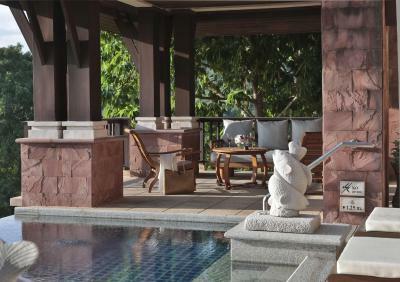 House Rules Pimalai Resort & Spa takes special requests – add in the next step! Pimalai Resort &amp; Spa accepts these cards and reserves the right to temporarily hold an amount prior to arrival. Pimalai Resort & Spa accepts these cards and reserves the right to temporarily hold an amount prior to arrival. Please note that small children must be closely supervised as the infinity pool is unfenced in either the Hillside and the Beach villas. None of the bedrooms in the Hillside or Beach Villas are inter-connected. Please note room rates are inclusive complimentary round-trip transfer from Krabi Airport to the resort. Guests are required to provide travel details at the time of booking. The hotel highly recommends guests to arrange for the flights to arrive at Krabi Airport in the morning or early afternoon. It takes approximately 2 hours to arrive at the resort with a car follow by the resort's boat, all of which are exclusively for guests. This service is applicable only on the guests' check-in and check-out dates only. Please note that the availability and timeliness of the boat service is subject to the weather/ sea conditions. In case of adverse weather/ sea conditions, the resort will arrange for guests to be transferred to the resort by public ferries and additional ground transportation. The transfer may then take 30 minutes longer. Please be informed that due to safety reasons, the boat shuttle service is not available between 18:00-06:00 hrs. After 18.00 hrs the transfer can be done using public ferries. These ferries normally stop regular service at 22:00 hrs. For a later arrival, please kindly contact the resort directly. Departing from the resort, the same arrival route is used. However, the resort allocates extra traveling time to ensure that guests arrive at the airport on time. 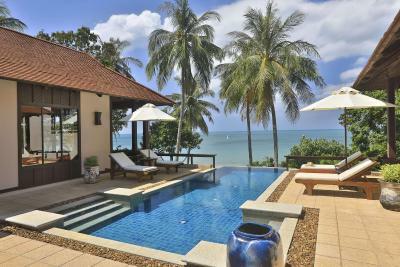 The property also offers a chargeable transfer service (via a minivan and boat) between mainland Krabi and the resort. Please kindly contact the resort directly for the cost of transportation. Everything! The best place in Thailand!! Coffee was good but too strong, need an option of a lighter coffee. The beach is a real deception. No turquoise water. Dark brown sands. No palm trees. 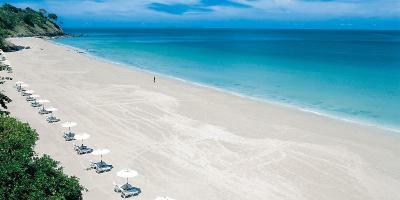 Does not look like a world-renown Thailand beach. Breakfast minimal with very few choices of Asian-Thai foods. Seems to please more the american stomach with plenty of bacon, hotdog , eggs and cheese ! Hotel needs to offer more international and Thai choices of foods rather than almost only western variety !!! Beautiful hotel. Fantastic settings. Fantastic services with unparraleled level of hospitality and quality. Room top notch. 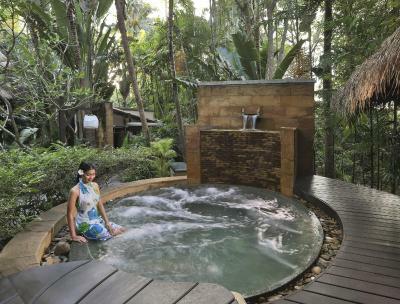 Spa services and settings unrivaled! The service was impeccable. The resort itself is fantastic - literally everything about it. The location is perfect. Basically they have the best beach on the island and it's mostly used by the guests - you may call it a "private beach" or at least that's the feeling you get. There are also aternatives to the hotel facilities should you want any as there's a village nearby (restaurants, 7eleven etc) The staff goes out of its way to accommodate any request you may have. Food in Rak Talay and 7 seas although marginally more expensive is top notch. And most of all the silence and the calmness of the entire resort. Really helps you relax and forget about the world. The Resort was beautiful and I enjoyed every part of it. The staff were amazing so lovely and professional. Roomdoor did not completely close although the room was renovated. There were some gaps in the door trough which geckos could enter the room. We closed such gaps with tape what worked sufficiently. But i think that is a point to make even better. The beachside pool, the fantastic atmosphere and the staff. Total luxury - if you can afford it go here instead of Rawi warin. Staff is super helpful and kind. Location is amazing. If you are staying in the deluxe room ask for the upper floor, view is beautiful. Restaurants and food are recommended. Beach is nice too and the pool location is awesome. Rooms are very clean. Breakfast top quality. We loved staying here! The check out was a bit unpleasant: right after you leave the room they send a staff member to check it and keep you busy at the reception till they make sure everything is ok in the room. Also we had a late flight, while check out was at 12pm. The late check out was not available, so we were offered to get a spa room to take a shower after spending the day on the beach. In the end we only got a chance to use the spa street shower - hot and humid. So try to arrange you check-out in advance. But overall the experience was great, just sharing this as an advice to future guests and to communicate these minor things to the hotel. Thank you, Pimalai! Great logistics - the way they arrange the pick up and drop off is just perfect, you do not have to think about anything, just get a cold bottle of water and relax. The welcome at the reception and in the room is very sweet. Spa is amazing - the massagists make sure to adapt to your preference in pressure and preferred technics. Also very beautiful location. Hotel newspaper was very helpful to know about all the daily activities. The beach is almost exclusively for the guests of the hotel. The food and drinks were great. The territory feels like a national park. Literally the only negative I could possibly say is the floors by the pools could do with a power wash as we noticed our baby got a bit dirty when she was sat on the floor by the sun loungers! They don’t look it though, but her clothes would get a bit mucky.